Offer a gift certificate for a flying trapeze initiation with real professionals ! No previous experience is required. 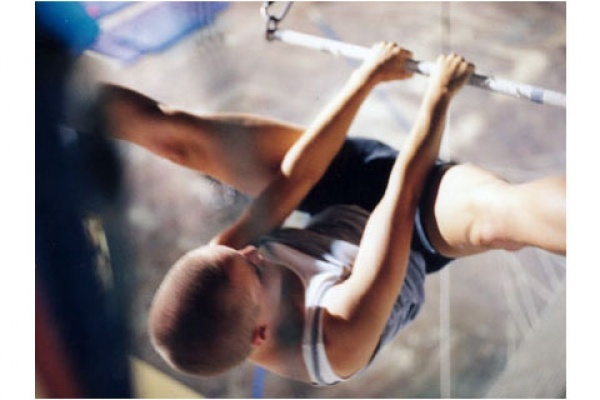 Recreational flying trapeze is an activity accessible to all. It consists of taking off from an elevated platform, swinging on a trapeze bar above a net with the aid of a safety harness and trained instructors. The goal: eventually being caught by the hands of a catcher swinging on another trapeze ! A lot of fun in a safe environment. A great gift to offer. Minimum age of 7 years old. Dickson street, Montreal. Close to the Montreal Olympic Stadium.